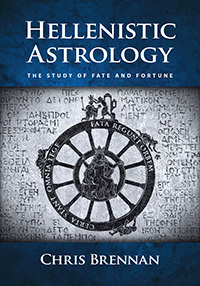 This section contains detailed articles on each of the major Hellenistic astrologers, including information about recent scholarship related to them. The articles primarily concern astrologers and astrological sources that lived between the 3rd century BCE and the 7th century CE. All articles were written by Chris Brennan, unless stated otherwise. Most of the articles are still a work in progress. Comments and corrections can be submitted via the contact page. The list is arranged alphabetically rather than chronologically. For a concise chronology of the major authors please see our timeline of ancient astrologers. For a detailed audio lecture covering many of the major Greco-Roman astrologers see the episode of The Astrology Podcast on The Lives and Works of the Hellenistic Astrologers.